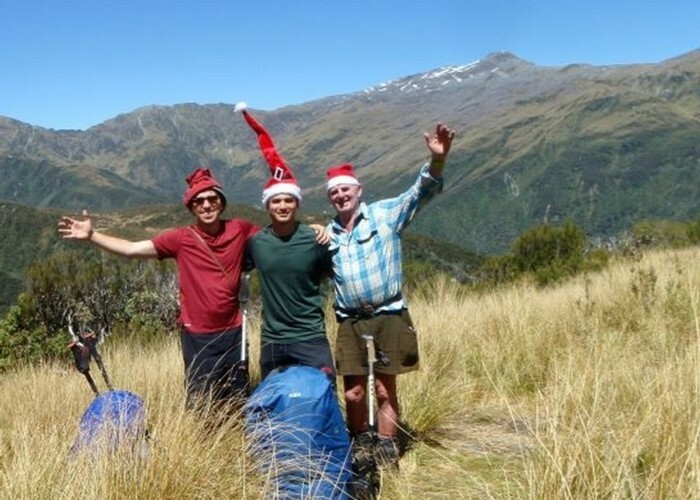 A pre-Xmas tramp in the Toaroha catchment was an opportunity to sport our headgear.One of our party deliberately opted out & didn`t bring a hat but the eagle-eyed among you may recognise a maroon coloured pair of undies being worn by the gentleman on the left;no room for grinches at Adventure Ridge! Mt O`Connor on the Diedrichs Range on skyline,still with a smidgeon of snow. Added 18 January 2019 by lewshawlewshaw. 1 revision 25 January 2019 by lewshawlewshaw. 31 views in the past year (8 per month).